The Philadelphia Phillies, currently tied for the worst record in Major League Baseball, have added another bit of humiliation to their embarrassing 2017 season. 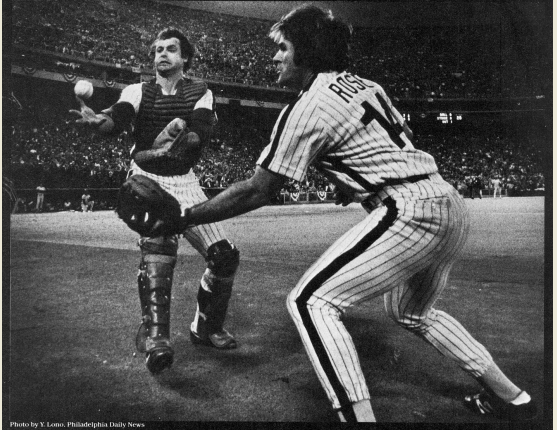 For relatively understandable public relations reasons, the team has disinvited its former first baseman (1979-1983) Pete Rose, baseball’s all-time hits leader, from its Alumni Weekend festivities at Citizens Bank Park from August 10-13. Additionally, as part of ther decision, the Phillies have canceled plans to distribute Pete Rose bobble figurines on Friday, August 11. There goes the only reason to go to a Phillies game this season. The other nominees this year for the fan vote for the Phillies Wall of Fame were: Steve Bedrosian (relief pitcher, 1986-89), Larry Christenson (starting pitcher, 1973-83), Jim Fregosi (manager, 1991-96), Gene Garber (relief pitcher, 1974-78), Placido Polanco (infielder, 2002-05, 2010-12), Ron Reed (relief pitcher, 1976-83), Scott Rolen (third baseman, 1996-02), Manny Trillo (second baseman, 1979-82) and Rick Wise (starting pitcher, 1964; 1966-71). Lenny “Nails” Dykstra (outfielder, 1989-96; runner-up for NL MVP in 1993, when the Phillies were National League Champions), a fan favorite like Rose, was not included among the candidates. This suggests that the Phillies, presumably expecting poor overall attendance due to a probable lackluster season on the field, did not want to split the “fan favorite” vote, pretty much setting up a sure Rose victory and thus at least one well-attended game, on Sunday, August 12, when the 2017 Wall of Fame induction would have taken place.